A sunny Sunday in London, early April. Bikers rest on a grass bank as the hum of the A406 traffic passes by beneath them. A relic of 70s American car culture basks, the glorious firebird on the bonnet throwing its wings open as if to catch the warmth. This my friends, is what it’s all about. 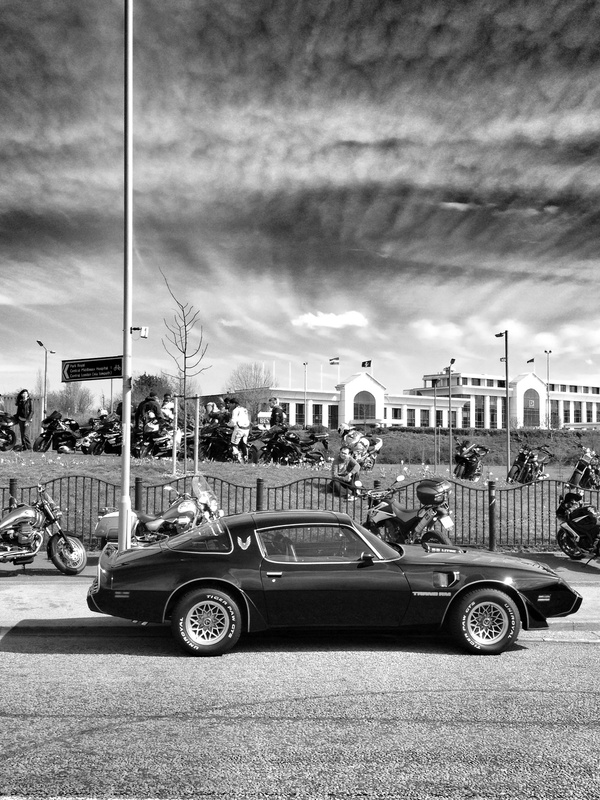 This entry was posted in Cars, Uncategorized and tagged ace cafe, Trans Am. Bookmark the permalink.